(Miami, FL) –Taurus USA sets the new standard for concealed carry handguns with the introduction of the new Taurus® G2C series semi-automatic pistols. These streamlined, performance-driven autoloaders strike the ideal balance between comfort and confidence in both self-defense and target shooting conditions. 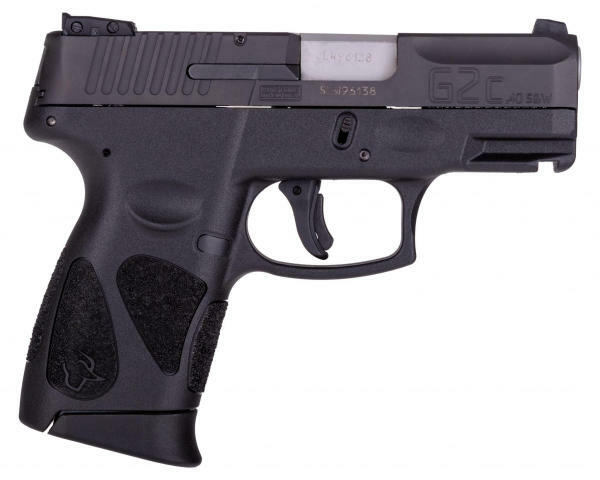 Chambered in .40 S&W caliber, the new G2C pistol is built on a rugged polymer frame that includes aggressive stipling, ergonomically placed along the grip to ensure firearm retention and to maintain positive hand alignment for optimal accuracy. The compact profile (1.25" wide x 6.25" long x 5.0" tall) combined with the 10-round (.40 S&W) capacity magazines' contoured grip extension delivers a solid, comfortable hold for small- or large-hand shooters. The G2C is available in either the 9mm Luger and the .40 S&W G2C and both models are offered with either a matte black carbon steel slide or with a matte stainless-steel slide. The slide contours blend with the frame to promote a smooth, snag-free draw and re-holster. 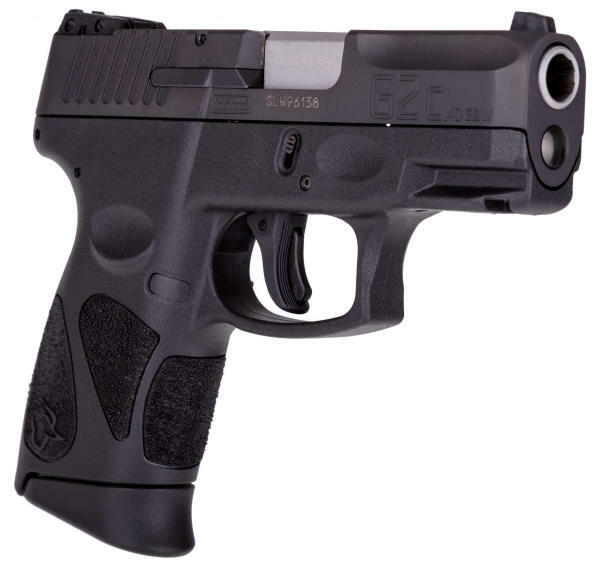 Precision-cut slide serrations provide a no-slip grip when charging the pistol. Topping the slide is a fixed white dot front sight and a dual white dot rear sight with elevation and windage adjustment. Developing a handgun with the ideal mix of solid, reliable performance, an ergonomic design suited for a wide range of shooters, and a compact, lightweight profile that wears comfortable and "prints light" for everyday carry is no simple matter. The new Taurus G2C series checks off all these "must-have" boxes in single pistol platform...and raises the benchmark in the CCW arena. To learn more about Taurus USA, click here.